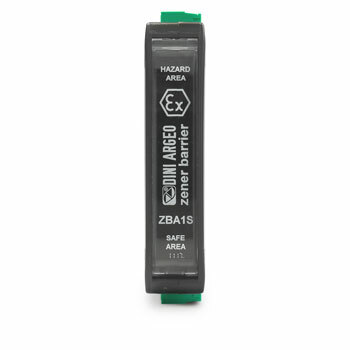 ATEX/IECEX TRIPLE ZENER BARRIER FOR LOAD CELLS "ZBA1S"
The Zener Barrier ZBA1S is the perfect solution for the connection between a weighing terminal and a weight receiver system in the ATEX ZONE. 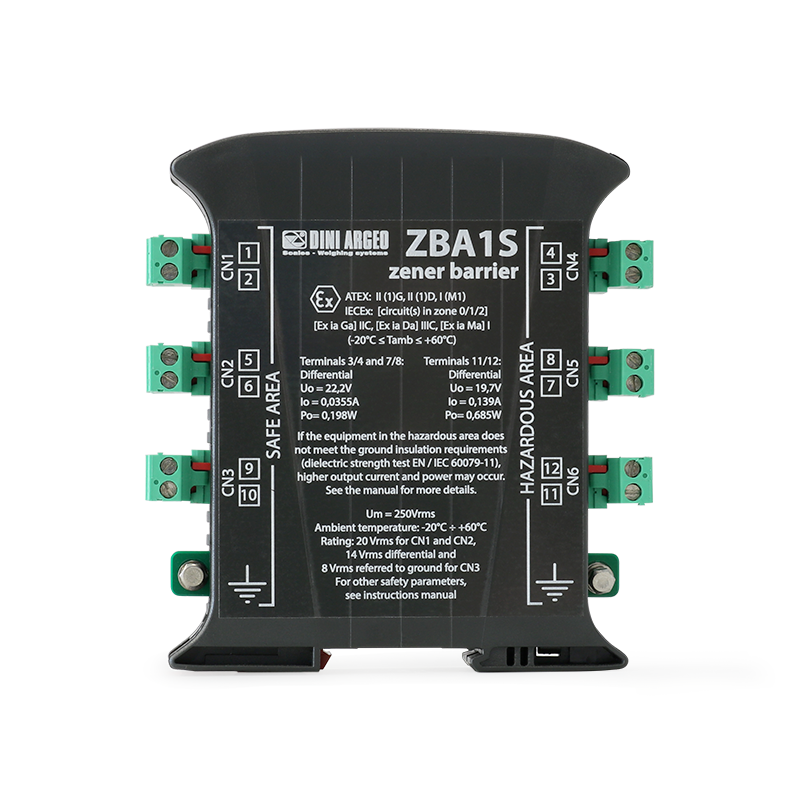 ZBA1S integrates three barriers in one, protecting the excitation line, signal and sense. This feature makes the installation easier, especially in small spaces. This saves time and money. 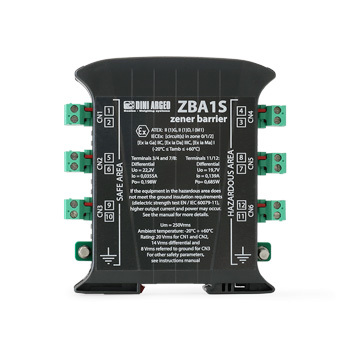 Equipped with 3 channels for the protection of the Signal line (CN1/CN4), the Excitation line (CN3/CN6) and the Sense line, for improved signal stability. 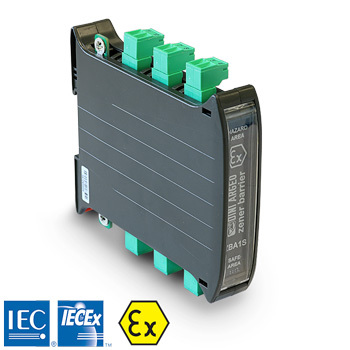 “SLIM” type case, iper-compact, for DIN rail installation. Temperature of usage: -20°C ÷ +60°C. 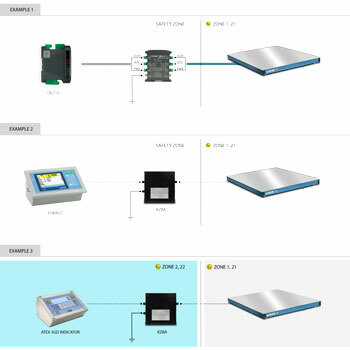 Please refer to the User Manual for more information. 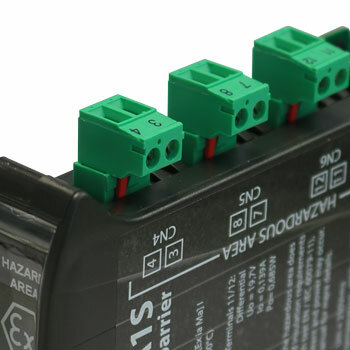 Can connect up to 4 Load Cell of 350 Ohm. Combined use of one or more Zener Barriers (1) GD [Ex ia], implies that the Atex marking of the set of barriers must be upgraded (2) GD [Ex ib], as written in the EN 60079-14 normative. 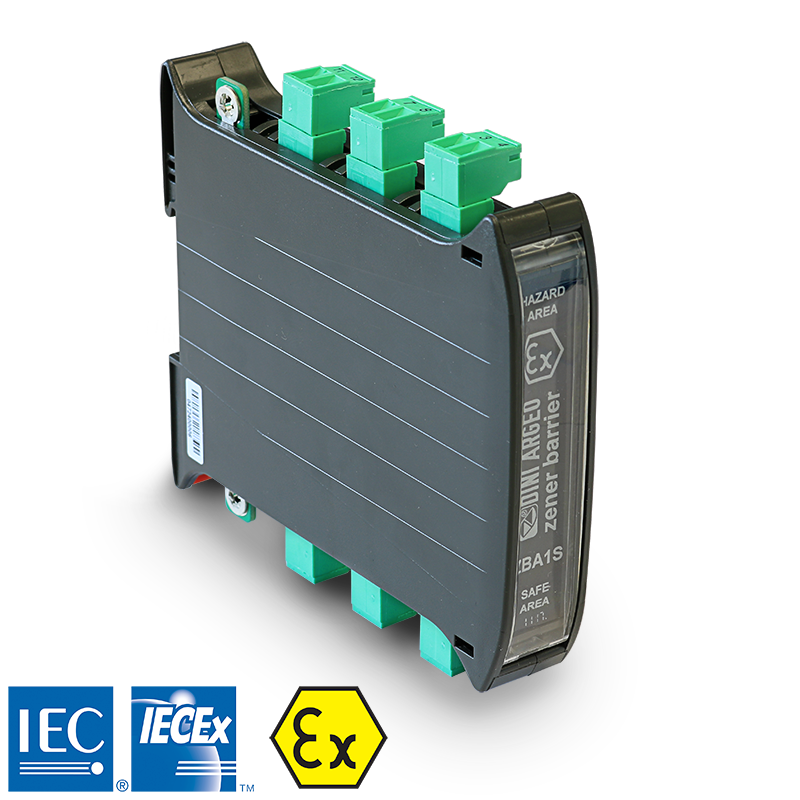 - ATEX II 3(1)D Ex tb [ia Da] IIIC T130°C Dc IP65 (-20°C ≤ Ta ≤ +50°C).